With so much competition and so many aspects to contend with, companies are now dramatically changing the way they manage and support business processes. Disruptive technologies, intelligent automation, and AI are making complex processes across industries faster, easier, and cost-effective. Automation testing companies are realizing the importance and benefits of intelligent automation – meaning automation with a purpose, and not automation for the sake of it. Companies are taking note of the possible benefits of using these transformative technologies to elevate their business. An expert in automation testing services would be refined and smarter than others, understanding how to proactively use the technology curve and help companies become future ready now. Intelligent or focused automation incorporates several systems, job functions, and holistically provides benefits across industries. It also means applying automation selectively and not instinctively to everything that can be automated. With the rise of expert test automation companies, businesses can safely outsource this important function in the knowledge that automation will be applied only where it can achieve the highest and sustainable positive affect on the processes. This is also a more efficient and cost effective method and constitutes intelligent automation. What does Intelligent Automation mean? By definition intelligent and focused automation is automation of targeted processes and tasks (within the scope of a larger framework of processes) that will most and immediately benefit from automation. Additionally this means that the ‘chosen’ processes and activities when automated will add the most value and will maximize the improvement of the overall process, in several areas such as efficiency, cost, speed, user experience, and more. An expert software testing company will tell you that automating everything is a poor way to manage processes and business operations. Additionally, such a company would use specific automation techniques to ensure that your business sees the maximum positive impact, the number of problems are reduced and you gain the highest ROI on all the resources expended. With every business stretched for time and faced with an increasing number of competitors, it would help to have an experienced partner with in-depth knowledge of automation testing services and a lot more. As mentioned, the only way to increase time is to do more in the amount available and hence faster turnaround with round the clock support have become premium services. Choosing the right automation testing company will ensure a complete transformation of your business processes, in the shortest possible time and with optimized efficiency. Even measurable and sustainable gains in productivity and revenue should not be cumbersome and long-winded tasks, and only an expert will ensure demonstrated gains with the least possible effort on the part of the client. As you seek to uplift your business through transforming the operations, a value added partner in the automation testing services realm could be the best investment you make. Real and sustainable change is what businesses need and should be able to see through focused and intelligent automation. Disruptive and demonstrable change is what you need for your business today, complemented by real time and expert support. A high quality automation testing company will match up to your expectations through proactive service and using intelligent automation. This would mean the ability to provide information, insights, and offer best practices in order to help your business to make informed decisions that will help you forge ahead of present competitors. 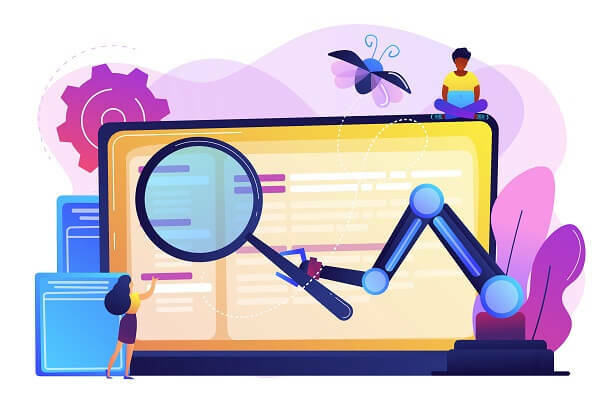 Intelligent automation therefore, encompasses the efficacy, efficiency, knowledge, and know-how that your automation testing services partner would ensure consistently. The journey of automation must be intelligent and focused – meaning one that is a shared vision by the company and the partner. An effective automation testing company will seek to understand the value and place that the client aims to be at, and will then orchestrate automation to match. Time is precious – we reiterate this fact – and it makes sense to go up the scale of value through sensible and purpose driven automation. Automation must not be guesswork or an experiment – it needs to be focused, meticulously thought out, and intelligent in order for it to open up endless opportunities and possibilities for a business. Connecting with us will get you all these benefits and more – we will be happy to undertake with you - your journey towards perfection.